Empanadas are mostly eaten as a snack in Mexico or as antojitos - takeaway food or fast food bought from the street. They are crowd-pleasers with both fans of Mexican cooking and those new to it. With filling choices limited only by your imagination, you can design these to satisfy everybody. Mix maize flour with water as you would with wheat flour, kneading into a dough. 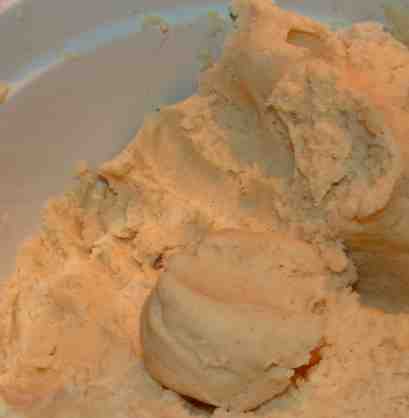 Take balls of the dough and flatten into a circular shape. 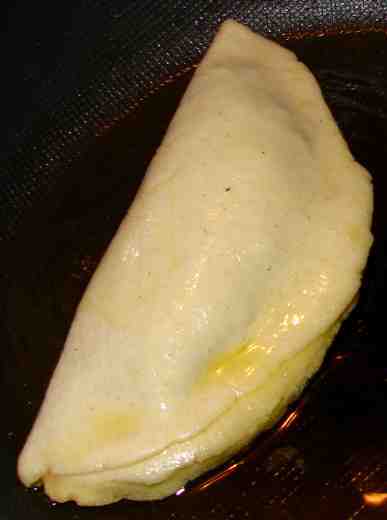 Add your fillings before folding in half, ready to be fried in oil. This is where patriotism goes hand in hand with Mexican food. 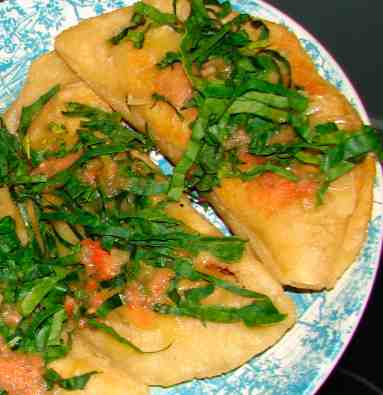 It is very common for dishes to display the colors of the Mexican flag - green, white, and red - such as in pico de gayo.